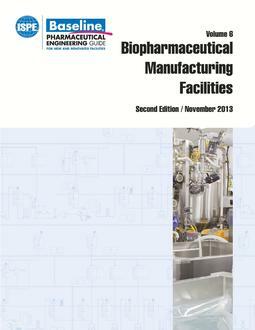 This second edition of the ISPE Baseline® guide: Biopharmaceutical Manufacturing Facilities intends to further reinforce the concepts described in the first edition of the Guide, provide examples of how these concepts can be put into practice, and detail the value and benefits of the approach described. The biopharmaceutical industry has adapted to reflect available technologies, products with more focused patient populations, regulatory conditions, and continued pressures on costs. The Guide develops concepts to reflect how these changes affect Biopharmaceutical Facilities without sacrificing product quality, by reducing risk and enhancing the manufacturing control strategy. The Guide emphasizes the use of closed systems as an approach to mitigating risks associated with the production of biopharmaceuticals. Concepts presented within the Guide apply to different scales of operation, from individual liters to tens of thousands of liters. The Guide applies to new Clinical and Commercial CGMP production facilities for the development and manufacture of biopharmaceutical Active Pharmaceutical Ingredients (or Drug Substances). The intended audience for this Guide includes industry professionals involved in the design, construction, qualification and operation of Biopharmaceutical Manufacturing Facilities as well as regulatory and quality personnel involved in evaluating technical decisions associated with Biopharmaceutical Manufacturing Facility design. This Guide is not intended to be used in the retrofit of older facilities; however, the execution of these concepts and strategies can be evaluated and implemented as it benefits production in a major modification of an existing facility.